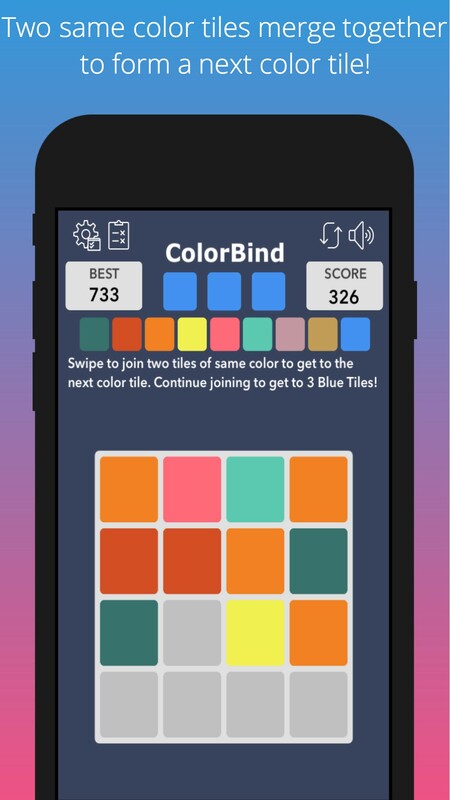 Color Bind - A fun and challenging puzzle game. Swipe to move tiles. 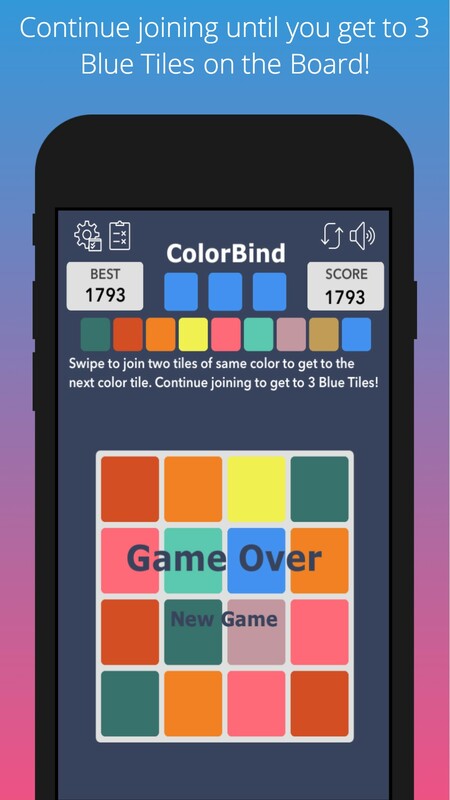 When two tiles of the same color touch, they merge together. 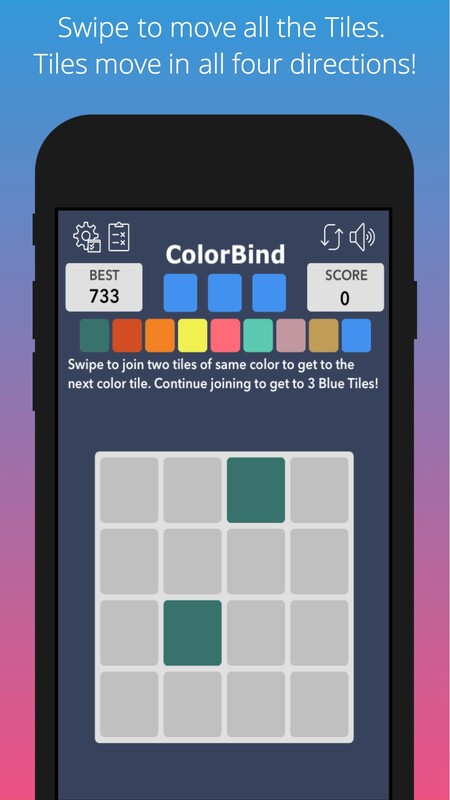 Continue merging until you get to 3 blue tiles on the board!